OSWEGO, NY – Looking for the latest information on one of Oswego County’s newest financial services companies? 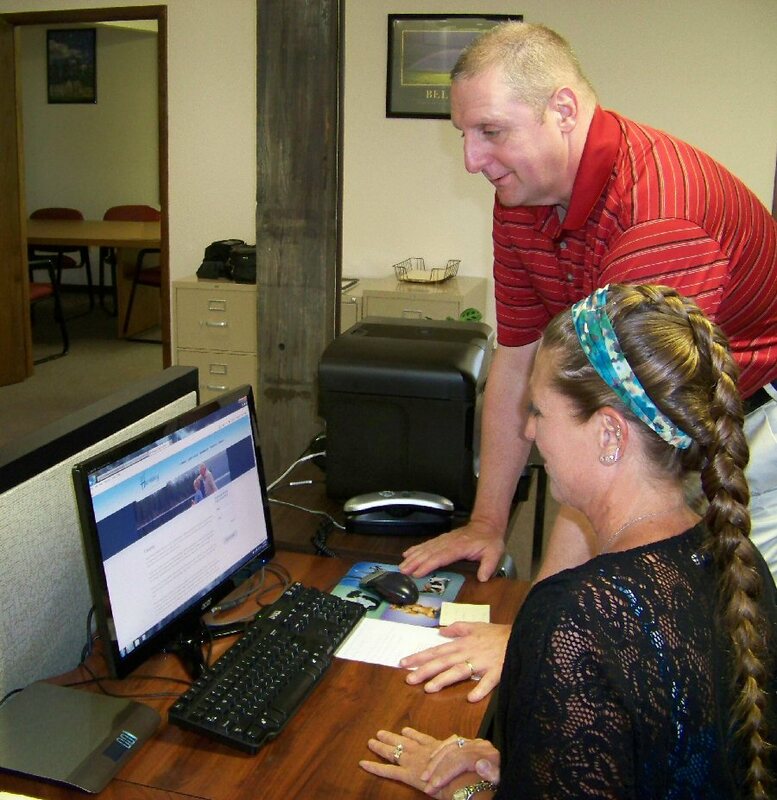 Financial Consultant Rob Rolfe, owner of Harmony Financial Services, and administrative assistant TeriLynn MacDougall review the company’s new website. Found at www.harmonyfinancialservices.com, the new website offers visitors a wealth of information and resources that are designed to provide a better understanding of available investment opportunities and what types may be best for their needs. 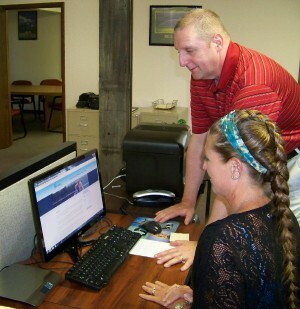 In addition to providing pertinent information about Harmony Financial Services and the range of products and services that if offers, the new website offers visitors a wealth of information and resources that are designed to provide a better understanding of available investment opportunities and what types may be best for their needs. Located at 31 E. First St., Harmony Financial Services offers a wide range of financial products and services. Securities and Insurance offered through Cadaret, Grant, Co., Inc. Member FINRA/SIPC.